Hands down, breakfast is my absolute favorite meal of the day. To me, there is nothing better than starting the day with a delicious protein-packed smoothie, a jar of dairy-free overnight oats, or my all-time favorite, Turkish breakfast. There are just so many delicious options to choose from these days without resorting to that old bowl of Cheerios and milk or a piece of toasted white bread smothered with butter and sugary jam. I’ll admit, they’re tasty but not exactly healthy. 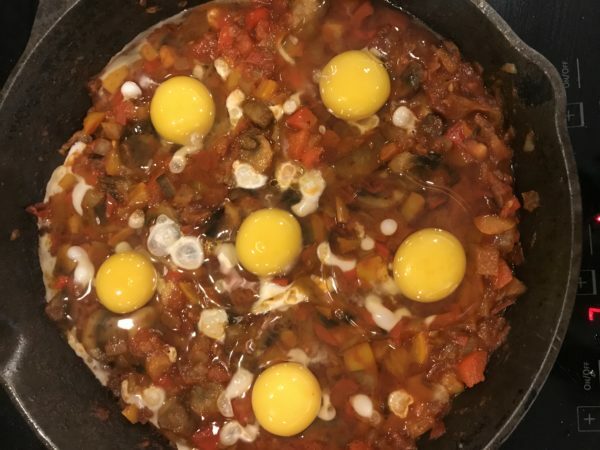 Recently, I decided to give my friend, Vivi’s, recipe for Israeli Shakshouka a try and shamelessly, my breakfast love affair found a whole new romance. 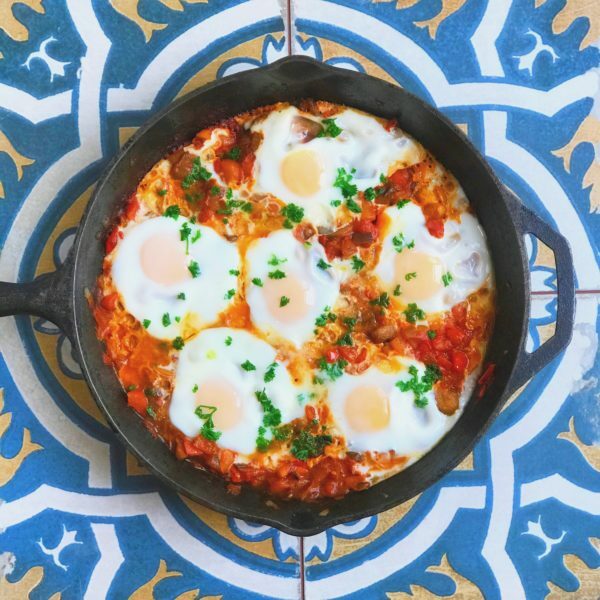 Israeli Shakshuka is a traditional breakfast in Israel. It’s easy to make, packed full of fresh vegetables, tomatoes, and eggs, and best of all, this one-pot meal is incredibly delicious. Shakshuka has a long, rich history, beginning hundreds of years ago in North Africa. It came to Israel through Maghrebi Jews who fled the country in the mid-20th century as part of the mass Jewish exodus from Arab and Muslim lands. Since then, this beloved poached egg dish has become a staple in Israeli and Arab cuisines and is enjoyed for both breakfast and evening meals. 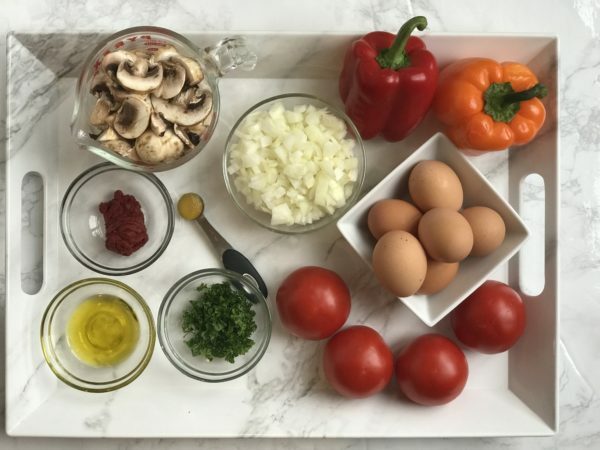 The beauty of Shakshuka is the variety of ways each family prepares it for their culture. 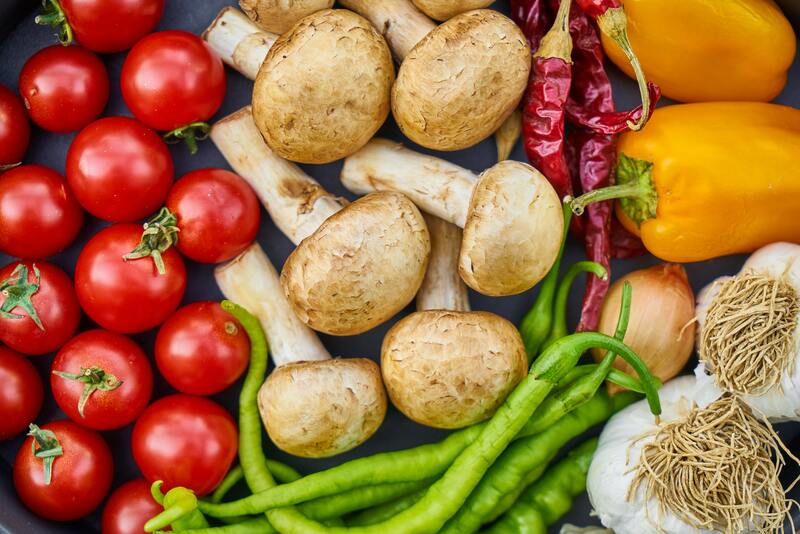 Some Arab cultures, for example, include potatoes, beans, spicy sausage, a variety of spices, and other ingredients that leave it up the interpretation and taste of each cook. 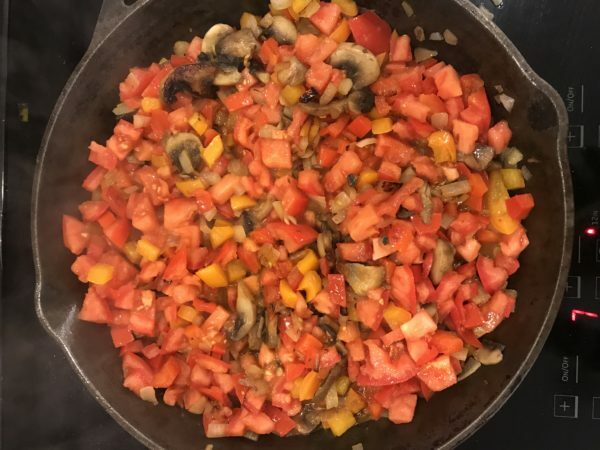 While in Israel, some recipes are strictly vegetarian, adding more tomatoes, peppers, or spices or leaving it plain and straightforward. Regardless of how you prefer your Shakshuka, the benefit of this dish is the simplicity of a one-pan meal that is healthy, delicious, and easy to prepare. The good news is, for those who are gluten- and dairy-free, this dish is perfect for you too! Israeli Shakshouka is a traditional breakfast in Israel. It's easy to make, packed full of fresh vegetables, tomatoes, and eggs, and best of all, it's mouthwateringly delicious. Prepare your ingredients ahead of time for easy in cooking. Heat a large skillet over medium heat. Add oil and heat for 30 seconds before adding the onions. 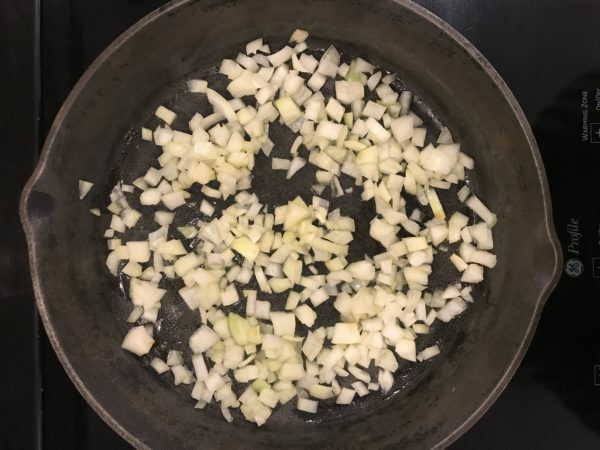 Sauté 3-4 minutes or until onions become translucent. 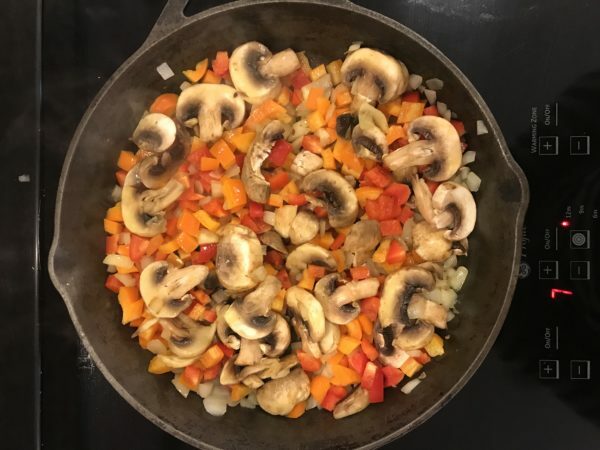 Add the bell peppers and mushrooms, sautéing 5-7 minutes until softened. Add in tomatoes and continue to simmer. 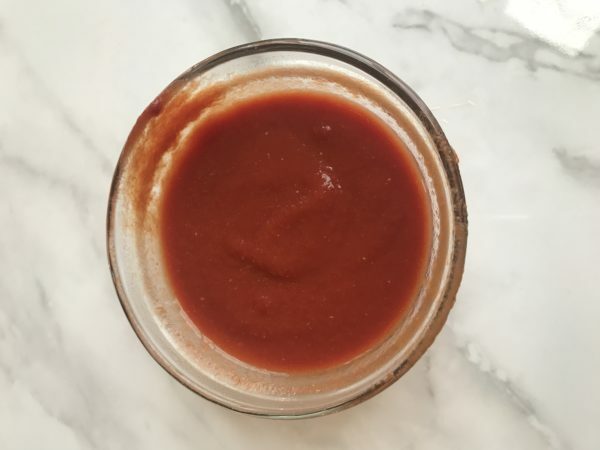 Dissolve tomato paste and chicken bouillon paste in 1/4 hot cup hot water. Pour liquid over vegetables and stir to combine, lowering heat to medium. Add paprika. Stir and simmer 5 minutes until the sauce begins to reduce. Add salt and pepper, adjusting the sauce to your liking/taste. 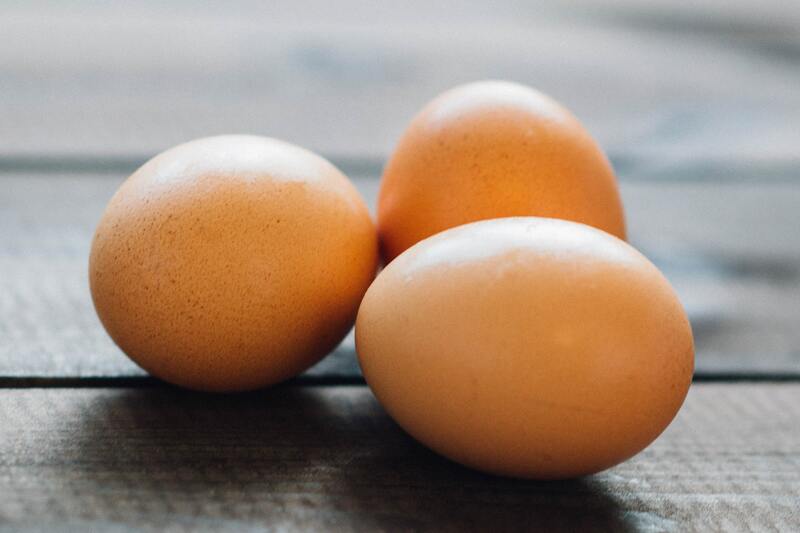 Using a spoon, create six shallow divots, spacing them evenly in the sauce where the eggs will be placed. Crack eggs, one at a time, into the divots. Cover, lower heat to medium-low, and let simmer until the egg whites have hardened, leaving the yolks soft. Sprinkle parsley evenly over eggs and sauce. Serve by scooping around the egg and carefully laying on a plate with sauce. Serve with pita bread, cottage cheese, whole wheat toast, and seasonal fruit. Serve with cottage cheese, whole wheat toast, and fresh seasonal fruit. You are welcome. Thank you for visiting!